We are Lions of Moscow Central! 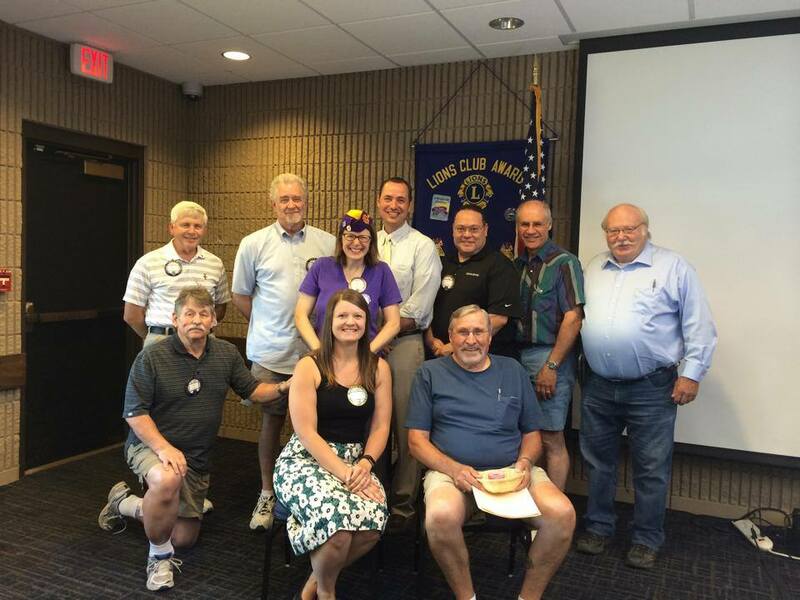 The Moscow Central Lions Club Directors and Officers, 2017-18. 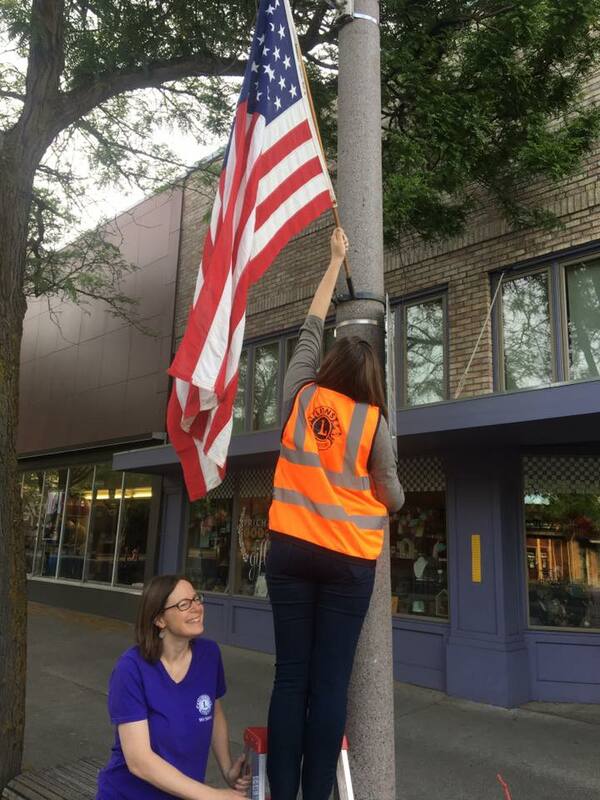 We love assisting the American Legion with putting up flags in downtown Moscow during holidays like Independence Day. 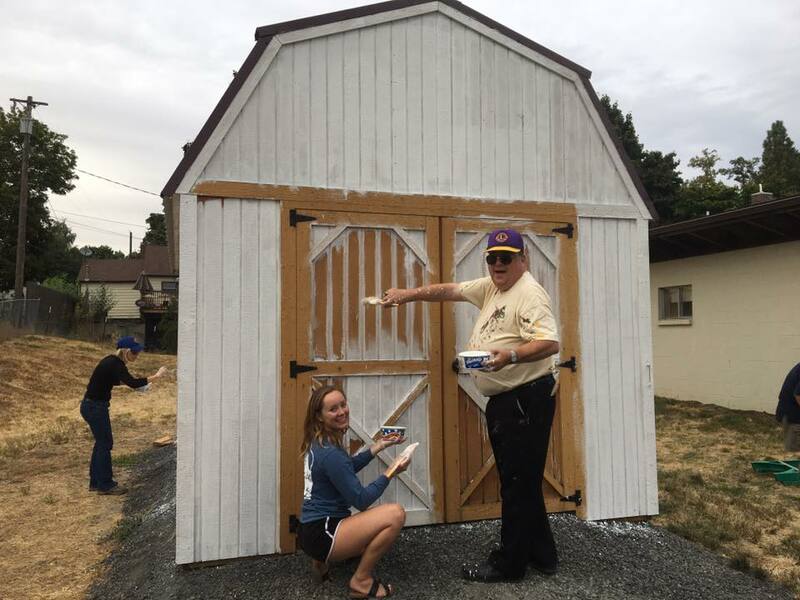 In exchange for use of their cabin for occasional meetings, MCLC helped the American Legion paint their new storage shed. 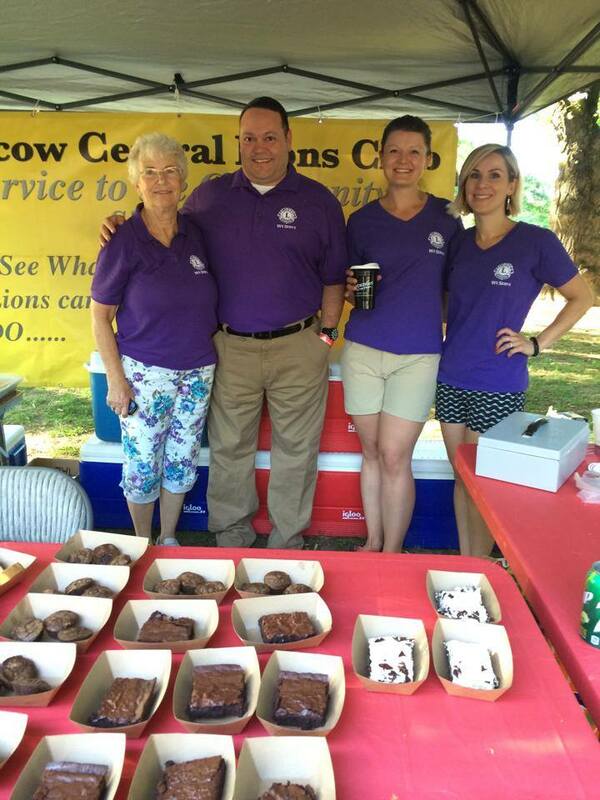 MCLC raised funds for our local programs by selling desserts at the 2017 Rendezvous in the Park concert series. Keep up to date on all things Moscow Central Lions by visiting our Facebook Page or by clicking on the "MCLC Newsletter" tab on the left of your screen. Have questions or comments about any of the pages in this website? Please email the webmaster at dulce.kersting@gmail.com.